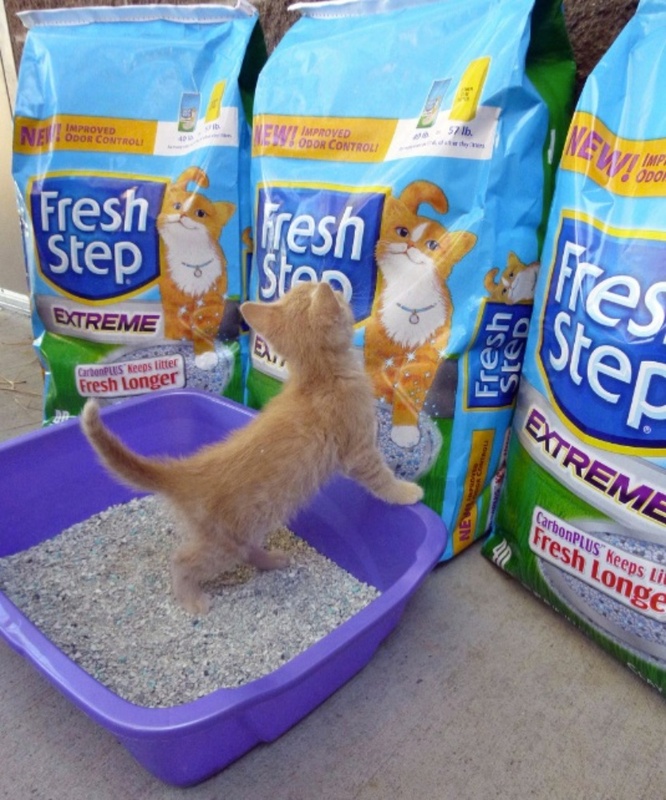 Thanks to your support of the Freekibble Kat Litter site, and our amazing sponsor Fresh Step, we’ve now donated more than 5 Million scoops of litter to help shelters care for their rescued cats and to support their life-saving work. It’s not just any litter, it’s the highest quality litter and it makes a difference in many different ways…including helping get more cats adopted! Cats at The Cat House on the Kings enjoying the litter! Viking and Cupid posing at Austin Pets Alive! We currently care for over 700 cats and kittens and are often asked “how do we not have any litter box odor” and for this I say WE ARE VERY CONSCIENTIOUS about cleanliness AND we use FRESH STEP litter. Donations of Fresh Step have been such a blessing for our cats, adopters and the staff who care for them! The cats also agree as we haven’t had any issues like we did in the past when not all the kitty’s could seem to agree and use the same brand of litter. Knowing we have these donations every quarter gives us peace of mind that we can use the funds set aside in the past to purchase cat litter on other important things to help keep the animals happy and healthy! 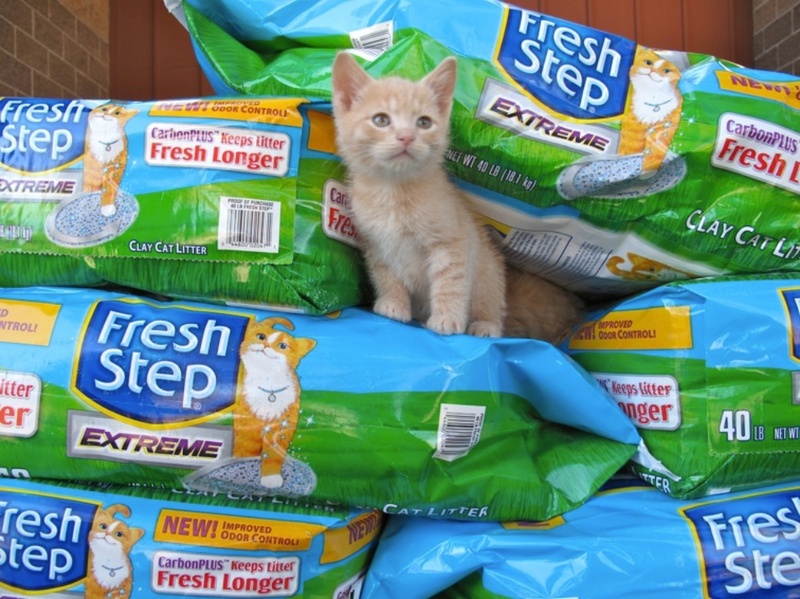 Freekibble Kat Litter’s donations of Fresh Step to Austin Pets Alive! have allowed our organization to focus our financial resources on saving the lives of the most at-risk cats in our community. Fresh Step’s odor control and clumping abilities also keep our cattery smelling fresh and our staff has to spend less time scooping and struggling with litter box issues, so they have more time to focus on the cats! 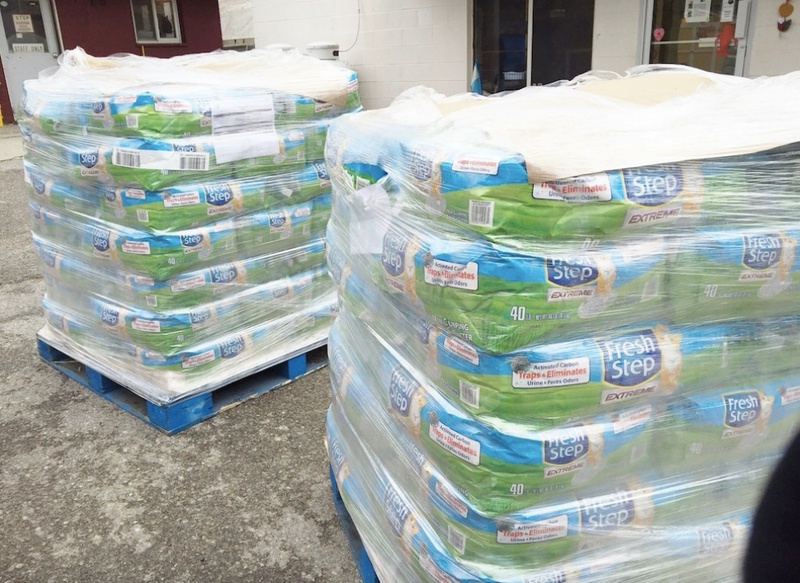 We can’t thank you enough for the generous annual donation of Fresh Step litter. For a nonprofit animal shelter, the cost savings of no longer having to purchase litter for nearly 6,500 cats is very substantial and that savings was put towards lifesaving use with our BARCS Medical Care Fund which is where funding is most critically needed. Cats eliminating outside the litter box is the main reason people surrender cats to shelters. Thanks to Fresh Step, our adopters can clearly see that our cats are using their litter pans, making them more adoptable. Plus, Fresh Step helps reduce any orders in the shelter. 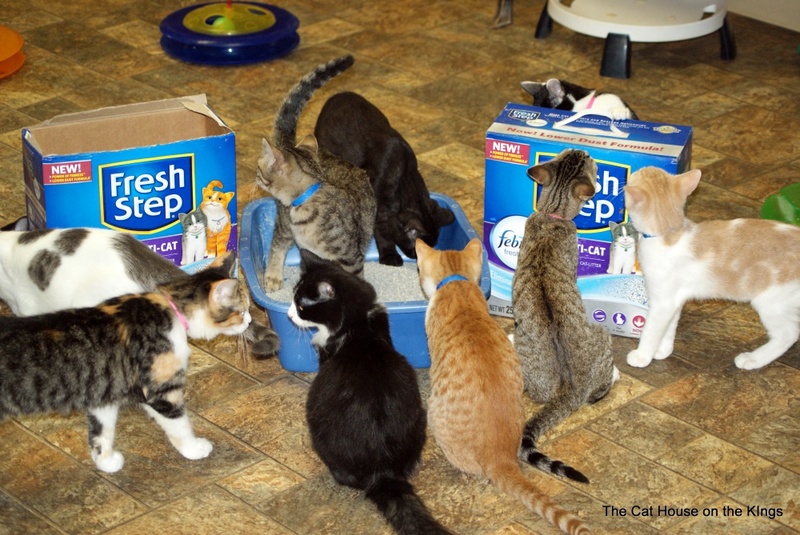 Receiving a donation of Fresh Step litter has made a huge difference for PAWS. It has enabled us to use our limited funds for other essential things like food, medicine and veterinary care for our rescued cats and kittens. It also reduces odor and dust, making our adoption centers even more enjoyable for our adopters, staff, and volunteers. A better experience for everyone means more animals served, so we are incredibly grateful! The quality of the Fresh Step is terrific. We pride ourselves in maintaining a clean and welcoming environment. Staff and our regular volunteers have commented on how much the Fresh Step has helped to maintain a clean and odor free environment, particularly in our Kitten Room; because as lovable as they are, kittens are slobs. Thanks so much for the generous donation. We do the work, but its generous donations like this that fuel our mission. 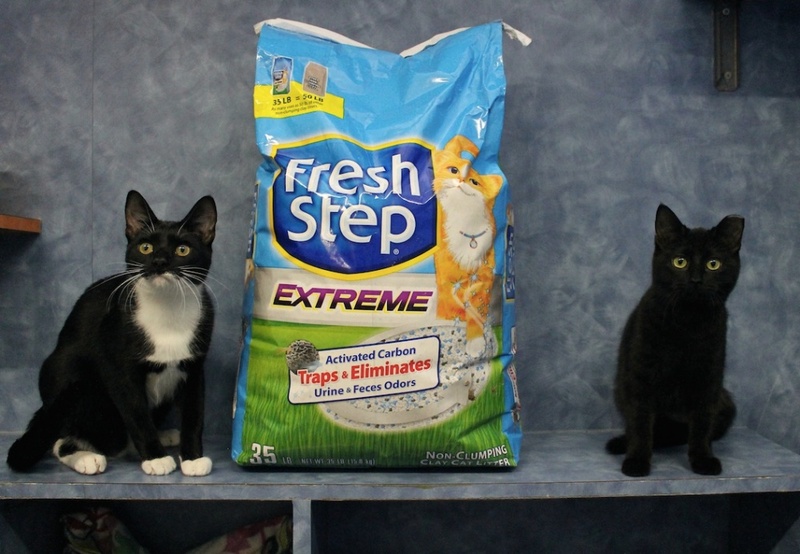 Our cats love Fresh step! We tried another litter (we received a large donation) and the cats hated it. We put a box of Fresh Step next to the other litter, the Fresh Step box would be full, the other almost untouched. The one thing the visitors always say when they visit our shelter is that you would never know we have 90+ cats. They do not smell the litter boxes… because we use Fresh Step. Have been offered pallets of other litter, and have actually said no because we like Fresh Step. It works.